Editor's Note: They say that you can judge a person...a community...a nation, by the way they treat their animals. Every ounce of me believes this to be true. Since the launch of DRIVEN, I have been waiting with bated breath for someone to show up whose advocacy centers around animals. Dogs in particular are known for their loyalty-- their love for their owner that far surpasses their love for themselves. When I requested photos from Sherri, she sent me only one of herself and the rest of her dogs. Such a small thing, but something that I noticed right away. This is the type of person she is; selfless and completely devoted to her cause. My hope is that your read her mission and support her foundation in whatever way possible, giving her dogs the opportunity to spend their remaining years surrounded by love. Sherri Franklin has always loved animals. Her home has, and always will be, a revolving door for the senior dogs that she fosters, which at the moment is seven. 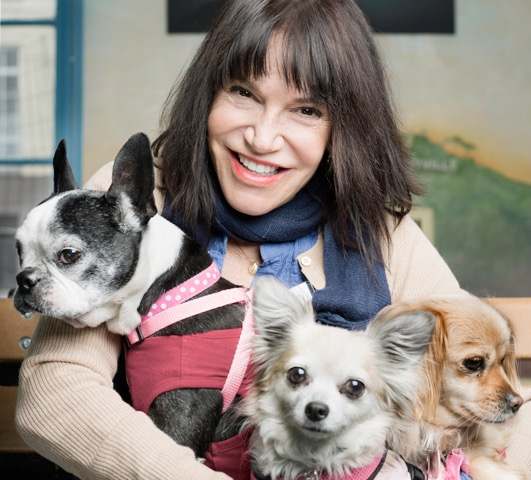 Ten years before Sherri founded Muttville, which is one of San Francisco’s favorite dog rescue organizations that specializes in the adoption of senior dogs, she volunteered in shelters. At the time, there was a huge need for an organization that would help place dogs in the city, particularly senior dogs that were slated for euthanasia at the larger shelters. 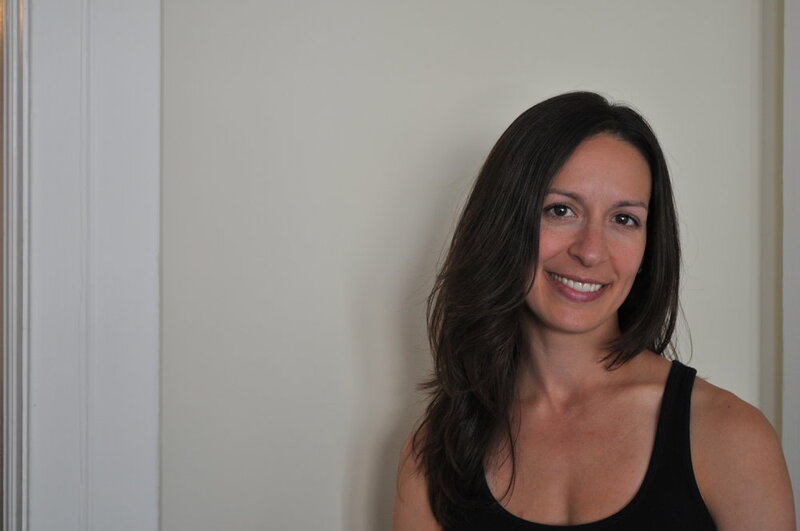 With zero non-profit background, Sherri had to start from scratch. She also had to reach out to volunteers, starting with her friends, to ask for help from the ground up. Volunteers came in droves, coordinating outside adoption events, fundraising events, even Girl Scout cookie fundraisers with proceeds benefiting Muttville. One of Sherri’s favorite dogs is Spanky, a bichon-poodle mix that was dropped at an animal shelter with skin burned almost entirely from sitting in his own urine. Sherri brought Spanky into Muttville and equipped him with a doggie-wheelchair, bringing life into his paralyzed legs. His rehabilitation was so great that the staff started calling him “hot-wheels” because of his ability to run circles around the other dogs in the facility. Like Spanky, Sherri says that for the most part her dogs originate from one of three places: the dog is a stray, their owner is moving and unable to take him/her along, or the dog belongs to a senior citizen that has passed away or gone into a nursing home. When their physical shelter opened three years ago, Sherri’s number one priority was to make it as comfortable as possible for the incoming dogs. Muttville has grown to include 16 San Francisco based staff members, but their mission has had a much broader impact. Sherri says that one of her proudest accomplishments is the response from the larger shelters, who have become much more inclined to seek out homes for their senior dogs instead of resorting to the traditional response of euthanasia. What is it about senior dogs that brings you so much job? What have you learned from working with animals day in and day out? What have you learned about the process of launching a non-profit? What are the most impactful ways people can help animals, particularly dogs in need? If you see a dog that you are worried might be abused, what do you recommend is the best course of action for helping the animal? Muttville offers a variety of volunteer opportunities for those interested, from reviewing adoption applications, walking dogs, bathing dogs, to helping maintain their facilities. And of course, Muttville is always appreciative of the financial support to help keep their dog’s tails wagging. To learn more, click here. Next week on Driven, meet Sharon. She used to be a partner at a prestigious Venture Capital firm in Silicon Valley, but traded it all in to take over as CEO of Hackbright Academy, the women-only engineering school in San Francisco. She has major life-lessons to share next week, on DRIVEN.